Kids before career? Kids after career? Kids or career? Kids and career? Jeez, making life plans is hard when you’re a woman! It’s 2018 and while we would love to believe that by this point in history we can have our cake and eat it too when it comes to working as a parent, unfortunately that still isn’t the case for many of us. Articles in the media and online are rife about working (or not) mothers, everyone has an opinion and so often I read about mums and work and we always seem to be placed in to one of two camps: the stay at home mum who feels unfilled and unappreciated, or the working mum who feels guilty and miserable because they don’t get enough time with their kids. Ask a mum about her experience of the working world and I bet she has a story to share, maybe she wanted to go back to work part time but her boss wouldn’t cut her hours, maybe she’s desperate to work but can’t afford the childcare, maybe she is one of the rare lucky ones who has found the mythical balance between her work and home life. The climb up the career ladder can become extremely difficult once our little bundles of joy arrive, that’s for sure. 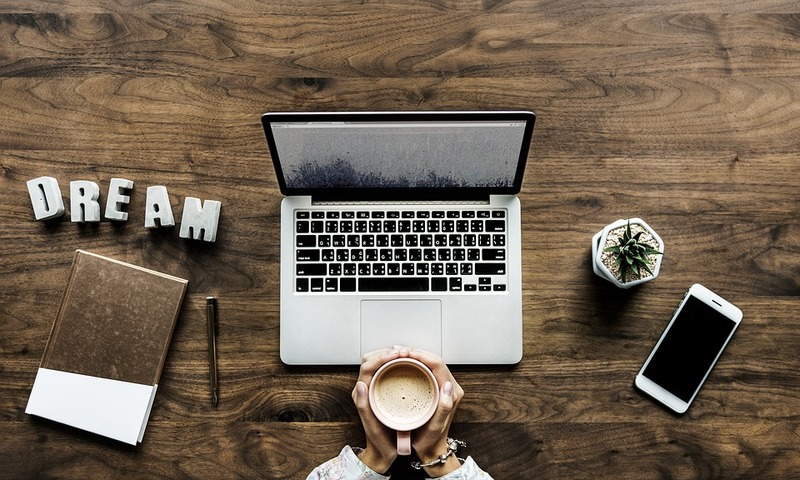 The modern online world would have you believe that your escape route out of the 9-5 and childcare juggle can be accessed with just a laptop and a good internet connection. The development of technology, smart phones and WiFi pretty much everywhere has made working for yourself a viable option; if you are struggling with the pressure of keeping the work and family plates spinning, now, perhaps, there is a way to do it all. Working from home seems at first a great option for those who can’t or don’t want to go back to the work place but is this style of career really the best option for parents? 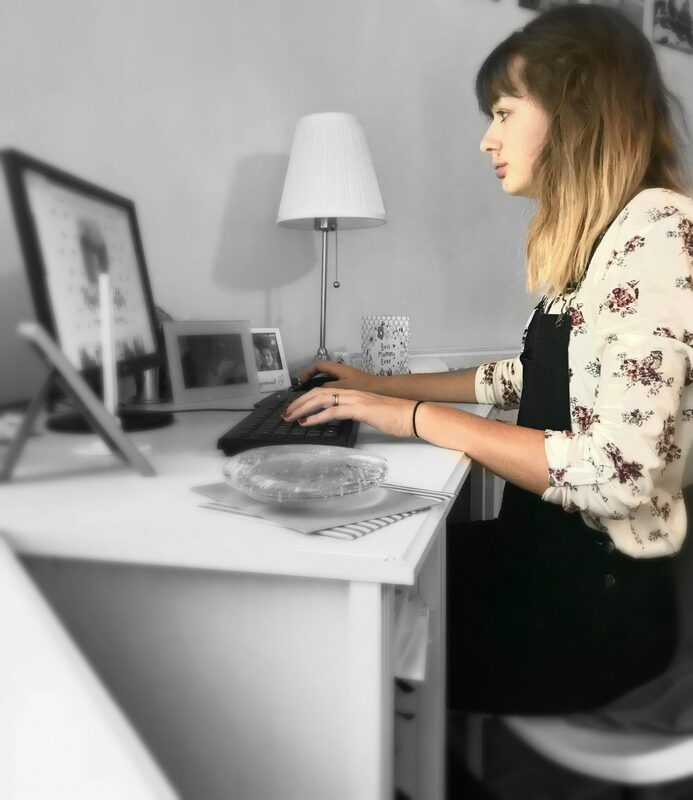 Here is my experience as a self employed mum working from home, I hope it helps you make up your mind whether this is the career path for you too. 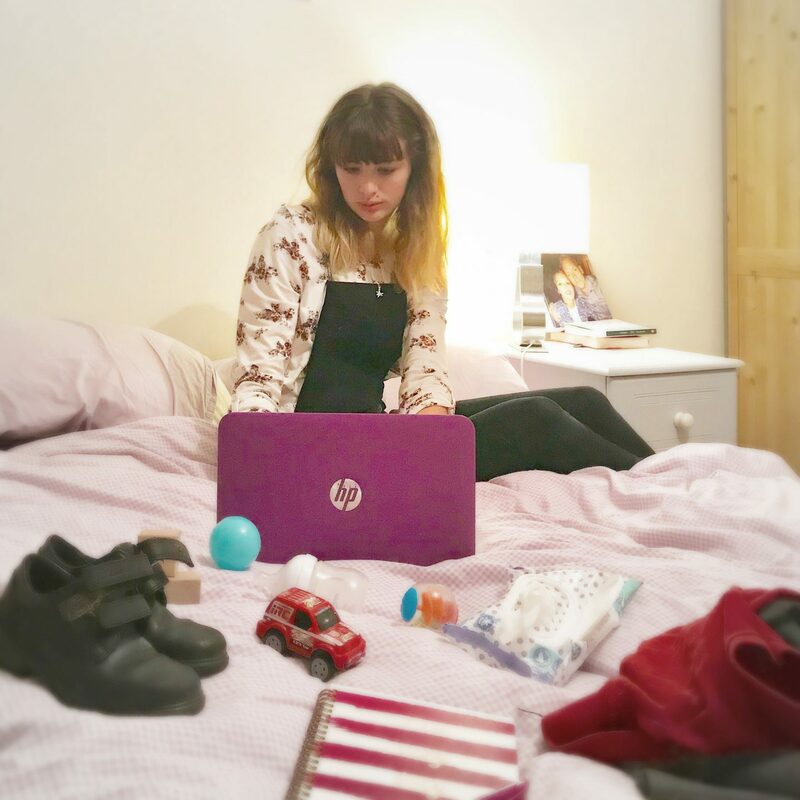 The struggle of the juggle as a work from home Mum. ‘Work from home‘, they said. ‘You’ll save money on nursery fees and still be there for the kids‘, they promised. Whilst working from home does have it perks (no boss lurking around, no rush hour traffic and unlimited tea breaks whilst still in your pjs), working from home parents still have to juggle all of family life commitments, it’s still a massive balancing act and perhaps it’s not the dream employment path all those Facebook ads and Instagram influencers will have you believe. I never intended to be self employed and working from home, it just sort of happened. When Alex was born we were living in Southampton and there was no one around to help with childcare. Oli worked full time and the thought of me then going off to work in a bar or restaurant in the evenings was just unbearable. Looking after two small children all day left me exhausted and I don’t think Oli and I would have stayed happy in our relationship for very long if we became one of those couples who just passed each other like ships in the night, one comes home and the other goes out. I had been making money on and off from my blog for about a year so without ever really acknowledging it, I slipped in to working from home and decided to keep plodding on, bringing in money whenever appropriate opportunities dropped into my inbox. I struggled with post natal depression and horrific anxiety after Alex arrived too so not having a job to go back to was a really positive thing for me. There’s no way I could have gone into a job and actually done my work well the way I was feeling. It is also because of that same anxiety and post natal depression that I have no intention of finding a more conventional job now, I feel like I missed out on so much time being happy and content with Alex when he was a little baby and now I’m feeling better I want to try and make that up to him. I need this time with him where I’m feeling normal and happy again and I know if I went out to work now I’d feel guilty and miss him terribly. Being with Alex now when I’m back in a more positive frame of mind is a vital part of my healing from that horrible PND experience. Earlier this year my sister asked if I wanted regular work doing the admin and web side of things for her furniture restoration business and I jumped at the chance. More money, less pressure to start looking for ‘proper’ work and less worry the months when no sponsored blog work comes in – obviously, I immediately accepted the job. So, I’m living the laptop lifestyle and, therefore, living the dream, right? 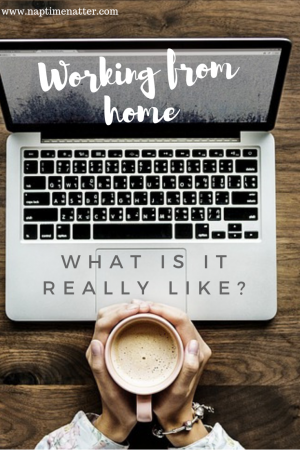 Well, there is no denying that working from home and being self employed has a whole load of advantages, like being flexible with the hours you work, still being able to do the school run and spending time with your kids. I personally love that I can work from anywhere too, if Alex is sleeping in his pram when we are in town, I can park myself up in a coffee shop and crack on with answering emails and making calls, all while sipping a cappuccino and not having to worry how my baby is because he’s right there with me. There are disadvantages to working from home though, just as there are with more traditional employment. I often wonder is Alex really better off sat watching Mr Tumble on repeat or building towers by my feet than at a nursery where he’d be getting more stimulation? Sometimes I’ll be on the phone for work and Alex and Leo will start screaming and fighting and I’m left having to cut the call short, just to try again when the kids are soundly sleeping in the evening, by which point I’m too exhausted to concentrate. There have been times when Alex and I have been playing and he starts a little game up by himself so I take the opportunity to fire some emails off my phone, just for him to speedily reappear at my side and either pull at my hand to come play which leaves me feeling guilty or he swipes my phone and in an instant that carefully thought out email gets deleted forever. It’s a juggling act, for sure. I have been running around soft play whilst trying to quickly send an urgent email to a customer, I’ve been making a phone call while cooking the kids tea and I’ve typed up quotes and invoices with a toddler bouncing on my knee and a five year old chatting constantly in my ear. Sometimes I definitely think that working from home isn’t the solution to parents not wanting to have to juggle work and family life, because I’m still juggling all the time. I have so many balls in the air my arms are aching trying to stop them all from falling to the ground. Just like going out to work isn’t easy when you’re a parent, neither is working from home. They each have their own pros and cons and I think once you bring kids into your life, you will forever be trying to find an equal balance between work and home. There’s no doubt in my mind that working from home, working freelance and being self employed does allow for much more flexible working than a traditional 9-5 job and I will always be grateful for that. If Leo had to go off to school feeling poorly because I had to work or if Alex missed a health visitor appointment because I couldn’t take him, I know I’d feel awful and guilty. Working from home allows me to make money but still be there for my kids when they need me and that is why this kind of employment is so appealing for parents. Just don’t be fooled into thinking it will be plain sailing. Yes, there are the occasional days where Alex has a long nap in the pram and I work non stop in a cafe for two hours with a barista made coffee for company. But for every one peaceful afternoon of work in a cafe, there are a hundred other days where I’m working in my living room, trying to do my work to the best of my ability and keep my toddler happy and entertained at the same time. Some days I nail it and some days I don’t. The temptation to constantly be working is high when your house is your office, when your computer is staring at you in the evening, saying ‘you should still be working’. Also, there’s the guilt of not being completely present with the kids when you’re working, even if you are all in the same room. There’s no denying that a working from home environment can feel more chaotic than a normal office, you could get food thrown at your head at any moment, have a little voice begging to play games on your phone while your sending emails or you can be half way through a work task when world war three breaks out over a piece of Lego in the next room. I think to make working from home a success you need to be really disciplined with your time, use the time you have wisely and ditch the Mum guilt if you can. An hour of CBeebies never killed anyone and your child isn’t going to hate you if you have to give your work your full attention for a little while instead of them. I hope by the time Alex starts school I’ll be able to go out and get a job job. I dream for Mother Pukka and all those running campaigns similar to her Flex Appeal, will make all employers see that flexible working is the way forward. We are 21st century women, we should definitely be able to have it all without having to possess the juggling skills of a circus clown at the same time! If you enjoyed this, you may also like to read.. Thanks for sharing your story. I would love to work from home, but there isn’t much call for a work-from-home doctor. Luckily the NHS has a pretty good attitude about part time working. Mothers are real-life superheroes, they just don’t wear capes and are not given applause for what they do (well, sometimes). A big respect to you for making it work. I am starting to work full-time on my blogging and I find the time-management and self-discipline points you have noted resourceful. It does sound difficult with small children. I remember going to college while raising my kids. I was lucky enough that I qualified for day care vouchers so that they could be in daycare while I was in class but at night when my homework needed to be done and they needed my attention that was rough. Then I went from in class to online learning. I thought it would be easier and in many ways it was. But the constant distractions from the kids often meant I had to wait until they went to bed before starting my work and by then I was exhausted. It can be done though. I look back and I have no idea how I managed it but I did. I like your honesty about working from home with children. People really need to do their research on this before making that decision. I was a working mum until we emigrated to Portugal last year. It was hard. I fought for months to get flexible working hours and had finally found a balance that was working. Fast forward 18 months and I’m a stay-at-home mum doing the school run, housework, food shopping and my blog work during the day. I sometimes wonder how on earn I did it while working as well! I can totally relate, i work from home and home school too so my whole life is just one big mash of everything and its so hard to switch off! I’m never very productive working from home. I always get distracted by too many other things. I agree its not easy but it is so rewarding when you manage to achieve a lot and still be around to collect the kids from school/activities. I’m lucky that I still manage to get to see a lot of people so don’t feel too lonely but need a massive rocket up me to get me motivated early in the mornings. I agree it’s so hard. I work in an office part time but supplement my income working from home on my days off. However my 18 month old demands constant attention and she doesn’t understand. I spend most of the time trying to work, only to spend every evening catching up! Everyone thinking I’m around all the time. It is such a double edged sword because you can fit it around family life, but at the same time you are always at work and the lines can blur. It is bloody hard work juggling it all 24/7!